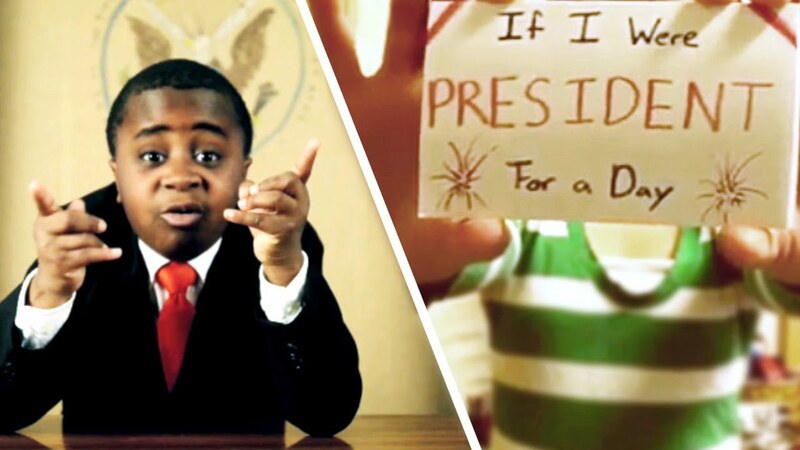 n 2010, two years after the election of Barack Obama, the first African-American President of the United States, Haitian singer, songwriter and Grammy Award winner Wyclef Jean released the single If I was President pointing out his view on the problems that really affect people and that politicians should worry much more about. Wyclef Jean was born on October 1, 1969, in a small town near Port-au-Prince in Haiti, but moved with his family to the United States at the age of 9. From his early years it was clear that the music would have become an important part of his life, giving him the opportunity to express himself in diverse ways and experiment different instruments and music, like pop, reggae, jazz and country. It was with his cousin Prakazrel Michel and his friend Lauryn Hill that Wyclef started enjoying hip hop as a form of expression and with the two of them he founded the memorable hip hop group Fugees in the early 90s. The name of the group derives from the abbreviation of the word “refugees” which already shows the interest and empathy for the condition of that melting-pot of cultures that is the American society. He has worked with an impressive amount of artist from Tom Jones, Mary J. Blige, Santana, Michael Jackson, Mick jagger, Sinéad O’Connor, Simply Red and Destiny’s Childe, just name a few. Wyclef has been actively involved in supporting his home country founding the Yéle Haiti Foundation also known as the Wyclef Jean Foundation, especially after that 2004’s Hurricane Jeanne hit Haiti, providing scholarships to more that 3,000 Haitian children. On August 5, 2010 he officially announced his candidacy for the Haitian presidential elections from which he was later excluded because he didn’t meet the five-year residency requirement. Despite this, Wyclef Jean continued to be involved in Haitian politics, supporting the candidates with his music and pushing for fair elections. Interestingly Wyclef Jean has been a strong supporter of President Obama, “I’m like an Obama groupie, from the very beginning“, but in the last few years some have raised rumors about his scepticism regarding the President’s work, maybe due to the economic crises and other issues, quoting his statement about being a fan of Sara Palin, a right-wing politician from the Republican Party. The song If I Was President, one of the many results of his successful solo career that started in 1997, is a remarkable chant in the name of justice and peace. “Instead of spending billions on the war, I can use that money so I could feed the poor” is just one of the meaningful verses that call for using American resources for his citizens instead of addressing them to the economic interests-related wars. But the song is not just about calling for peace, it is a scream for protection of human rights, for stopping racial prejudices, for scholarization and for the right and duty to vote. He sings about important issues such as people’s freedom of speech, the struggle of the military, religious differences and racial segregation, all wrapped in a easy going and light groove that characterizes his work. Instead of spending billions on the war, I can use that money so I could feed the poor. Cause I know some so poor,when it rains thats when they shower. Screaming “Fight the power”. Thats when the war should devour. They call it rebel music.